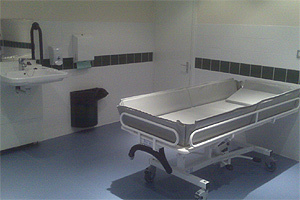 Changing Places are toilets with enough space for disabled people and their carers. They are designed for people with profound and multiple learning disabilities and their carers as well as the many other disabled people who cannot use standard accessible toilets. 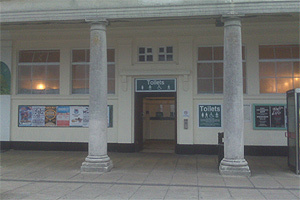 The first Changing Places toilet in Brighton & Hove was opened at The Colonnade, and was sponsored by Wetton Cleaning Services. We have also opened a new changing places toilet at The Level as part of the park's restoration. This was made possible by Short Breaks Capital funding. What equipment has been installed? The site includes a height adjustable bench, height adjustable sink, a Guldmann ceiling hoist, privacy screen, wc pan, incontinence waste disposal, incontinence shelf and audio and visual alarm. There is an attendant at The Colonnade who will allow access to the unit, and to provide written guidance for using the unit. Please note slings are not provided for the hoist. The toilet is located in the Madeira Colonnade, a terrace of shops and cafes on the way to the Volks Railway. There is a bell to call the attendant for anyone who needs to access the facility. Carers or service users will be required to sign a disclaimer to ensure they have read and understood the guidelines before access is permitted. You can print the Colonnade toilet access disclaimer (PDF 37KB) before your visit and take it with you. 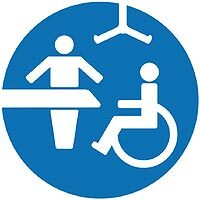 For further information including opening times go to our accessible public toilets web page. You can email us at cityclean@brighton-hove.gov.uk or telephone Cityclean on 01273 292929. To find out more about the Changing Places campaign or find other locations in the country, visit www.changing-places.org.